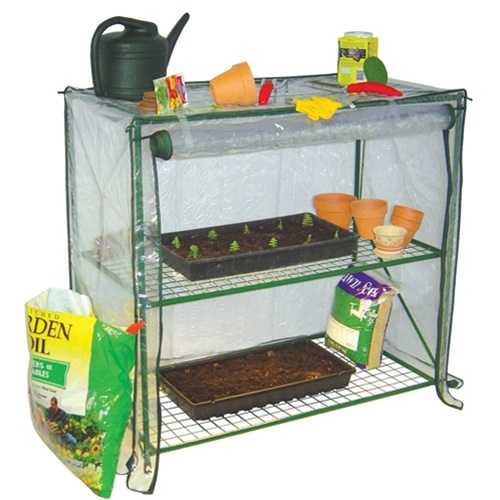 Portable Greenhouse Kit | IS 66412 | Free Shipping! 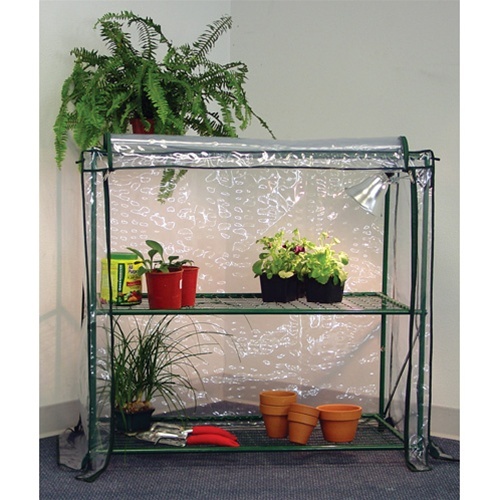 Please note, heat lamp, plants, and other props in photo are NOT included. Price is for greenhouse only. 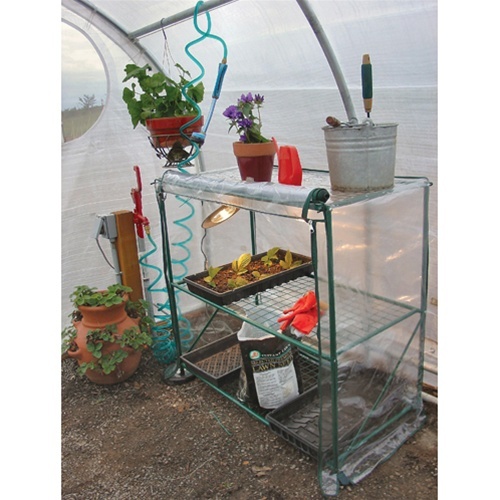 The Early Start 3 shelf unit can save you money by starting your own seedlings. Just imagine, no more trips to the local garden center to pay big bucks for your seedling plants. Now you can start your own in the comfort of your own home, or in your own Weatherguard Greenhouse!